Find Uganda job listings from various sources, employment bureaus, agencies and general tips on how to get a job in Uganda, Kampala, Entebbe, Jinja, Wakiso and so much more. Everyone in Uganda loves to get a job and we all have dream jobs that we have always wanted to do but with the recurring situation of no jobs in the country, most people end up jobless but that can change with a positive attitude towards work and the creation of more job opportunities in the country. There are a few things that have led to unemployment and these include high corruption rates, lack of needed skills but once fought it can increase jobs in the country. There are majorly two types of jobs known which include formal and informal jobs. Formal jobs are mostly owned by people who have finished degrees and these jobs have detailed qualifications and job description. Formal jobs also include a dress code for the employees, hierarchy of workers and payroll wages. Most formal jobs in Uganda have specific working hours and that is from 8:00 am to 5:00 pm Monday to Friday for public offices whereas some private offices operate on Saturday too. Private sector, these are owned by individuals and investors and hire the largest number of youth in Uganda. The private sector includes banks, hard wares, shops and other businesses. The rules followed by the employees are put up by the top management. The public sector, these jobs are owned by the government and for one to apply they need to apply through the different ministries that have advertised and the rules followed by the employees are put up by the central government of Uganda. Whereas an informal job is one where you do not need specific qualifications to do it but can be learned and most people can do them even without going to school. And these are jobs that have little or no security, no contract and zero benefits. A few people like informal jobs since it means that they can do other jobs like part timing and they get extra wages for the extra work done. While other people do informal jobs because they cannot get better jobs, others do the same jobs just to get extra income. What are the most important things to consider when applying for a job? Job searching in Uganda is a hustle but below is a list of pointers that one can use while searching for a job in Uganda. A strong resume is one of the factors that you should put onto consideration when job hunting. A resume keeps on changing depending on the years a resume that worked in 2001 cannot bag you a job in 2019 due to the different demands on the market. A good resume should be easy to read, attractive and the font should be one that most computers recognize. As we all know most of the jobs in Uganda are advertised online the resume has to look good since most employers will focus on the look of the resume and not focus on its content. Note that the content in the resume should be summarized and simple and not a long story. This will give the employer time to peruse through. This has worked in Uganda for the past few years and is still the best way to get a job in Uganda. If you have noticed most vacancies are being filled without being advertised therefore you need all the help in getting that job. A recommendation from someone well known might get you a free pass to that interview but do not forget that once you start looking for a job you need to put in your all even with technical know who. When you are searching for a job, you need to have an open mind about the job market. We all want to get a good job with a good salary but if you ever get an opportunity to apply and get a job different from your dream job, then go ahead and do it as you await the bigger opportunities otherwise you might end up with no job at all. We all make that mistake of writing about our general competencies once asked what we can do best in the job description. For example If you are applying for a job as a teacher do not answer with what teachers do best but concentrate on what makes you a better option for the teaching job. This makes them your key points for a job advertised. When jobs are advertised there are specifications that the employer wants therefore if you are applying for a job, make sure you follow strict instructions and not to include what they have not asked for. This shows the employer that you can follow rules and it reduces the unnecessary clutter in the application. Once you start getting phone calls for interviews after you have uploaded your resume, then it is high time to start researching about the company. Interviews can be a bit hard most especially if you have been job hunting for long but once you get to the interview room be yourself and turn the interview into conversional mood. Find out what builds the company and their rules and company values as this will help you understand what the company is all about. You will apply for more than 100 jobs without being called for an interview but the main thing is to always be positive and humble. Keep a positive mind and keep on applying, your luck might come with the many applications being sent out and at least be ready to do any assignment on the job once given to you. This is the focal point when searching for a job and it has to be good in order to capture the employer’s eye for consideration. An application will include personal details, basic information about yourself and a summarized background of your education. It also includes all your previous experiences and it is what employers read to determine whether one is capable of handling the job. After writing the application attach the documents that have been asked for and do final checks to see whether you have made mistakes or not. Make sure you apply before the deadline since most Human Resource managers focus on first come first serve basis. Many people go to interview rooms when they are very nervous and this can easily be detected by the panel of interviewers. You need to prepare yourself for the interviews by checking out the background of the company and finding out their core values. This will give you an upper hand during the interview. And if possible, engage the panel so that the interview is not a one way conversation, this will help you get to know who has the highest percentage when it comes to deciding and whom to please most during the interview. Employers tend to look for people who are positive minded and can take on much more than what they are meant to do. A good employee will be able to acknowledge their mistakes and work amicably with other employees and this is what employers look for in an employee. No one wants to hire someone who sets goals and cannot meet those same goals and beat deadlines. Therefore during the interview and training they will try as hard to find out whether you are capable of beating deadlines. All those intending employees need to stretch their limits to show that they can do more than what is expected for them. Employers in the 21st century want people who can perform as a team and not individual basis all the time. Team work builds the company and helps the employees get along well and more work will be done when there is good team work. Employers want to hire someone who is flexible that is if you are given to do work that is not meant for you, you can actually do it and should be able to adapt to the different and ever changing working environment on the job. If you want to pass an interview and be recruited into a job, you need to show the interview panel that you can do the work with minimum supervision and that they can depend on you to do your work even when they are not available. There are various platforms and channels as you job hunt. Below are some of the most promitent ones. Every prominent newspaper in Uganda has a specific day for listing jobs . New vision jobs and Daily Monitor jobs should be one of the reasons as to why you buy those papers. Most companies and organizations advertise extensively in this media. Internal Adverts. This practice is common. Most corporations place there adverts on the internal memo. Networking is key here. If you have a friend or relative working in such places, they will notify you to apply. So you need to inform whoever you can about your search for a job as well as experience. You never know! What Do Potential Employers Look For In You? As you write and probably modify you C.V to reflect the needs of the job position from that advert you read recently, its quite important to understand what employers want and here is below some of the key aspects to consider. Experience: All companies and organizations believe in experience and this is something that you have to highlight in your C.V and at the interview. You have to show how much you know and for how long you have been doing that. And just in case you do not have the experience, talk about other related things you have done and they could be relevant proof of similar experience. It’s not good for you to be turned away just because of that. Professionalism: Some people think that being a pro equates to that suit and smartness. No way! We call for ethics and work, how to treat others. You must be a man of your word, held with high integrity and loyal in all ways. 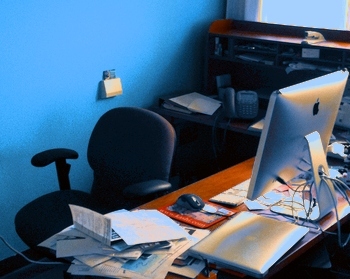 At your work place, you must be honest and competent as well as positive. It’s important to keep learning new skills and upgrade to the changing times. Skills: I do not know how much I have to emphasize this, but in order to survive in this economy; your skills are the key. You need to be good at what you do best and at the same time show willingness to learn something new. Communication: Every company and organization has put in place levels of communication, how to respond or react to your line manager is important to your job survival. Be consistent, clear and concise in your day to day communication, consider the team player attribute. You are done with your degree at Makerere, Kyambogo, Nkozi or any other university and all the jobs you read about in Daily Monitor or New Vision require experience which you definitely do not have, you are yet to receive your original transcript and all you have is a pass slip. Here are some of the tips to help you get a job as soon as possible. Most companies and organizations consider individuals who have worked or served as interns before. Applying for internship can be one of the greatest steps towards achieveing full employment. This is one way of gaining the experience which every one asks for during the interview process. On our website, we list internship opportunities so be sure to check them out. Most organizations here in Uganda have volunteering opportunities. This is important especially with your zero experience. Some organizations offering volunteer placements do not pay at all, not even lunch, but why worry about that when you are acquiring skills and also getting the right contacts in the industry. Most potential employers all over the country fancy individuals who have volunteered before for it shows a high level of commitment and initiative. Some skills you can acquire include team work, communication, time management and so much more. With the rise in use for social media, you can build your network even while at campus before you graduate. Join professional groups relevant to your course, attend fairs, exhibitions or even seminars, write and share with the people in your profession, keep them in your circles. Now days some people are getting offered jobs based on their presence and profile on social media. Some individuals can decide to be very ambitious, which is okay but wont apply in certain areas. Its hard for a fresh graduate to get the top jobs in a company. Its good to dream but still target the lower job positions so that you climb slowly to the top. Sometimes the salary at the bottom is low, but once you get into the system, you will find yourself at the top one day. Job promotions are real. 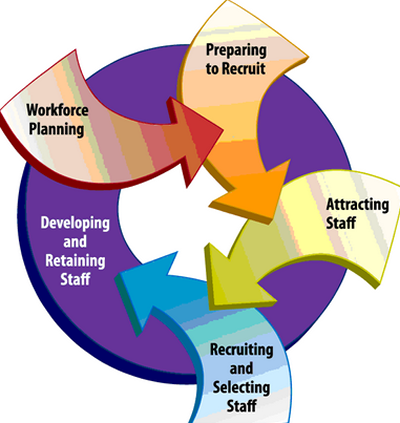 Find information about all Human resource consultants in Uganda. 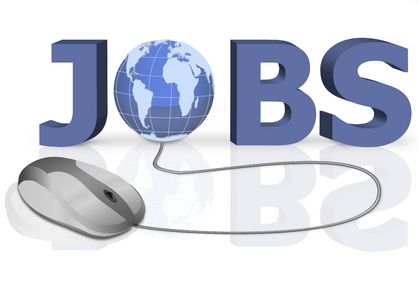 All employment opportunities in Kampala, find placements and recruiting firms and companies. A guide to getting employment by Wakiso District and also companies and organizations in this area. Where to find Jobs in Jinja, the most highly paying companies and tips on landing that great job here. 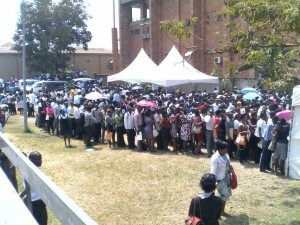 In Uganda today, the quantity of people in search for employment is overwhelming in comparison to the available jobs. For that reason therefore it is very crucial that search smartly for a job if at all you want to become successful or even get a job in Uganda. Listed below are some of the finest ways to search for employment in this country. By far and away the best way to find a job in Kampala or Uganda is to show up personally and begin looking. I cannot emphasize this point well enough – it’s approximately 100% more effective (and enables you to be 100% more appealing to prospective employers) than simply taking out CVs from the lounger back in your home nation. In case you can, identify a number of potential firms of interest and produce a list of their contacts prior to deciding to come. By doing this you can make an effort at organizing some meeting for when you come. In addition – in case you are trying this technique ensure you have sufficient money to see you through the first 2 to 3 months since it could still require sometime to find something once you arrive. Work permits go for about $250 USD and your employer must logically pay for it. In case you are fortunate enough to be employed in any official or even government, then a letter from the civil service official goes quite a distance to assist you obtain the permit and even speed up the process. In any other case, be cautioned that a work permit may take up to 3 months to get it fully processing so you will have to ensure that your standard entry visas are well updated for the time being. In case you are volunteering then it could slightly be different in that you do not require a work permit however you may use the tourist visa (provided that you are not being paid – stipends do not count). In case you are volunteering for more than the regular 3 month entry-stamp will cover so you have to apply for an exclusive pass on arrival in Uganda. This provides you an additional 3 months and it costs about 300,000 UGX. In case you are already in Uganda and are in a visa difficulty (or you want to renew your visa or change visa status), then all you simply have to do is to go to any of 2 immigrations offices found in Kampala; The head office on Jinja Road on plot 75 and the other is at the end of Port Bell Road (you simply have to follow the road till you can’t go any more and you will find metal gates which you will walk through). I recommend that you go to the office on Port Bell road since it is less busy and really smaller and not as busy and for that reason customs officers are generally a little more easygoing. The leading jobs you will get in Kampala or Uganda are generally within the NGO, teaching field, diplomatic or oil realm. In particular, there is a very huge humanitarian crowd found here that focuses on health, development and education. Kampala is as well the head office of the huge NGO Malaria Consortium, who every once in awhile recruit people. A word of warning to foreign people searching for NGO work; at the time of June 2012 the Ugandan government put forward new legal guidelines to limit the quantity of jobs offered to foreign nationals so as to prioritize qualified Ugandans. As a result, NGOs should be in a position to provide persuasive reasons for employing expats and also the job market could get a lot more difficult for foreigners. Such a good advise thanks. Medical Laboratory technician is the of interest I am looking for. I hold a bachelor of laws but cant find a job, any organization to take me? Am searching for agricultural related work in both animal and crop production. I so grateful for such a wonderful job you people are offering to the young generation, am a graduate from Makerere university with a bachelors degree of arts in Economics am searching for a job with interests in planning, policy, and financial management am ready to work with any organization that is ready to recruit me thanks. I hold Bachelors in Environmental Management from Bishop Stuart University. And i am looking for a relevant job and i can also work as aresearch assistant, 0703344967/0777865603. l also regard my self good at counselling and guaidance to clients of different walks of life. An undestanding of educational psychology has enabled me design effective and effective teaching and learning programmes. I did a course in Health Records & information management systems (Diploma),ie First Class. I am capable of performing Data Entry & Medical Records Management. any organization of good will may kindly call me at 0756617123 and offer me that opportunity. patiently waiting for your feedback. I did bachelor of economics and management and am looking for job. I wish to have the administrative job I have master in public administration and management and certificate in law. I’m looking for a job, I obtained a certificate in hotel and institutional catering at YMCA comprehensive institute.pliz kindly contact me on O703382864,formore details pliz not only that I can only do hotel work, but also other fields I h’v interest like working with organization like care for children ie nsambya babies home,teacher and other skills and able to work under one ‘s pleasure pliz consider mi. Am actually very happy for the did please continue advising. Am a social worker I did development studies from gulu am as well looking for the job. Thanks for your advice,it was helpful. I hold a diploma in social work from Nsamizi Training institute of social development and a degree in social development from Makerere University.I also have professional skills and knowledge in Mental health.Tel:0779822270. Am a degree holder with bachelors in development studies i wish to have a job in development and humanity.